The combined generosity, goodwill and hard work of our volunteer alumni, parents and friends make us what we are today. We are forever grateful for your support. Franklin & Marshall relies on the generous contributions of its alumni, parents and friends to support the development of campus and regional events and enrich the F&M community. 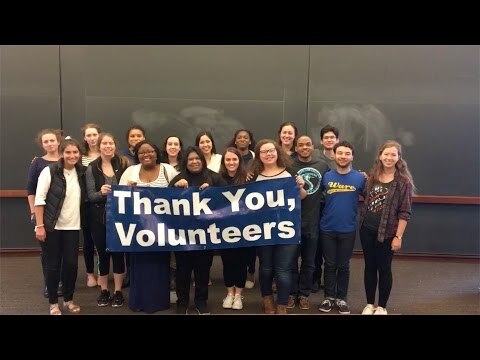 Beyond giving, Franklin & Marshall alumni demonstrate their commitment to the College through their volunteer efforts and their willingness to serve as professional mentors to students and fellow graduates during the course of each year. The pages in this section provide information on the many ways to contribute to the mission of the College and enhance the experiences of its outstanding students. We are forever grateful for the dedication and generosity of our alumni, parents and friends. Support the mission of F&M's Alumni Association by working with other volunteers to develop strategies for engaging every alumnus and alumna with each other and with the life of the College. Assist F&M alumni, parents and friends across the globe in building lifelong relationships with each other and with the College, share enriching experiences with other members of the F&Mily and stay connected with the life of F&M. Serve as an ambassador for the College, build community among past, present and future students and parents of F&M and promote the benefits of an F&M education to prospective students and their parents (no matter where you live). Provide transformative experiential learning opportunities (internships, volunteer opportunities and community-based learning experiences) that empower students to make a positive impact within their local and global communities. Help promote excitement about Franklin & Marshall College and engage alumni who act as ambassadors for F&M in their everyday lives. Help foster excellence in Franklin & Marshall athletics by cultivating loyalty among alumni, student-athletes, families and friends and securing the volunteer and financial support necessary for sustaining the caliber of F&M's athletic programs. Help the Office of Student and Post-Graduate Development (OSPGD) prepare students for their lives and careers beyond college by mentoring students, offering student internships, or hosting a student extern. Serve a crucial role within the College and your class by making gifts to the Franklin & Marshall Fund each year and encouraging classmates to join you in contributing to the fund. Enhance this milestone celebration by getting involved in any number of ways, from extending personal invitations to alumni, to greeting visiting alumni, providing directions to event locations, handing out tickets to events and more. Parents who are invited to join the council serve the mission of the College through engagement, service and advocacy on matters affecting the long-term market position, culture and financial strength of the College. Members of the council are invited to join and serve as advocates for the College by providing the President and Board of Trustees with assistance on matters affecting the general academic strategy of the College and its long-term market position and financial strength.